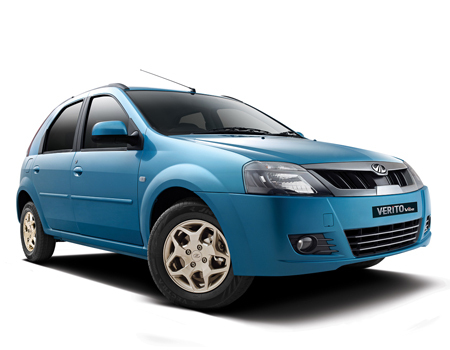 Mahindra Verito Vibe CS is a popular compact sedan car which was first launched at Dascia. It is a spy car with protected front grille. The rear of the car is bold and the boot-lid of the car acts as spoiler. The car has alloy wheels of 14 inches. The braking mechanism of the car along with suspension system offers decent stability to the car. The interior of the car is spacious along with inclusion of utility item holders, dimming interior lights, cabin heater, etc. The car has bold radiator grille with bumper which is painted with color of the car. Overall, the look of the car is appealing with stylish exteriors. There are 3 variants of this car with 1 engine, 1 transmission and 1 fuel option. Mahindra Verito Vibe CS 1.5 D2 – Diesel variant with 20.8 kmpl mileage, manual transmission and ex-showroom price around INR 6,00,000. Mahindra Verito Vibe CS 1.5 D4 – Diesel variant with 20.8 kmpl mileage, manual transmission and ex-showroom price around INR 6,27,000. Mahindra Verito Vibe CS 1.5 D6 – Diesel variant with 20.8 kmpl mileage, manual transmission and ex-showroom price around INR 6,89,000.